The Viger-Denonville community wind farm project consists of 12 wind turbines with a total gross installed capacity of 24.6 MW. This farm, located in the municipalities of Saint-Paul-de-la-Croix and Saint-Épiphane, Quebec, was selected by Hydro-Québec Distribution following a call for tenders for wind-generated energy from community and Indigenous projects. The Viger-Denonville community wind farm consists of 12 model MM92 wind turbines from REpower. The output of each turbine is 2.05 MW. The MM92 is well suited to the project site and Quebec’s prevailing weather conditions. The wind turbines are located between Rang 3 and Rang 5 in Saint-Paul-de-la-Croix and south of Rang 4 in Saint-Épiphane. In the third quarter of 2012, the Ministère du Développement durable, de l’Environnement et des Parcs confirmed that public hearing would not be required for the project – a first in Quebec for a wind farm in inhabited areas. The Regional County Municipality (RCM) of Rivière-du-Loup, project host and partner, has been involved in the development of the project from the start. Under the terms of the partnership, the RCM and Innergex will each have a 50% equity interest in the project. The Rivière-du-Loup RCM will receive income from its investment in the wind farm. 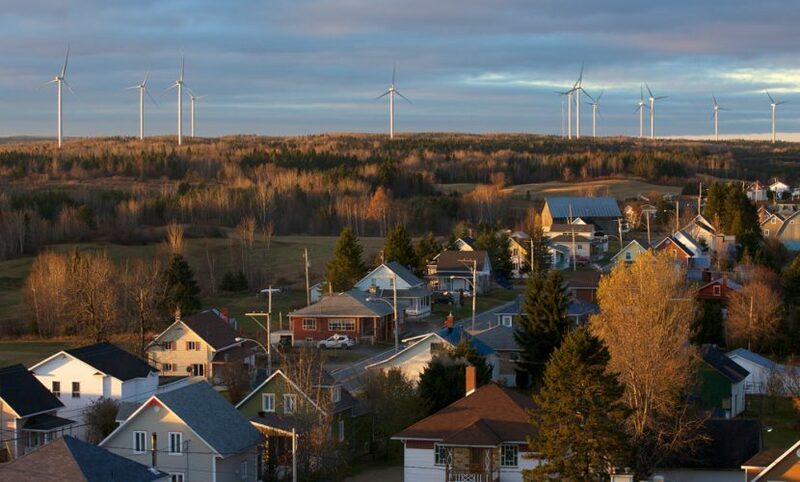 Total earnings in the order of $22 million for the wind farm’s 20 years of operation will be shared among the constituent municipalities of the Rivière-du-Loup RCM that are participating in the project. Furthermore, an amount of $123,000 per year will be shared equally among the MRC and the project’s host municipalities. This guaranteed amount will be indexed to the Consumer Price Index.